This upcoming weekend, Jonesborough is turning PINK with various events with the downtown merchants for breast cancer awareness month. We thought it only fitting to kick things off with some storytelling, since Jonesborough is home to the International Story Telling Center. We will share a couple of stories over the next couple of days. We hope you enjoy hearing from these amazing and strong women, who might even be your neighbor. Ms. Pauline Douglas, a native of Jonesborough, recently retired from the Department of Energy’s Oak Ridge Office where she served as the Assistant Manager for Safeguards, Security and Emergency Management, and the acting Assistant Manager for Safety and Technical Services. In these positions she was responsible for the safety and security of the Federal Building Complex and coordinated technical support to multiple line organizations at over 280 facilities throughout the United States. Ms. Douglas was also responsible for providing technical monitoring oversight of contractor protective force operations at several DOE sites. Prior to her career at DOE, Ms. Douglas worked in the Admissions Office at both East Tennessee State University and the University of Tennessee Knoxville. Ms. Douglas received her Bachelor of Science and her Masters of Arts degrees from ETSU. Ms. Douglas is a member of Jonesborough Presbyterian Church where she has served as an Elder and currently participates in the handbell and choral choirs. She has served on the Oak Ridge YWCA Board of Directors, Families First (Knoxville) and is currently a member of KnoxCAM, a Christian performing arts ministry. During a monthly self-breast exam in December 2015, Pauline found a lump in her right breast. 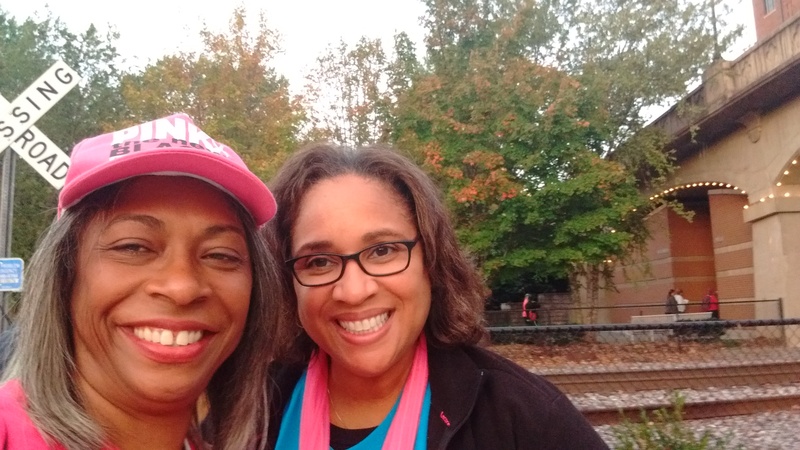 Her mammogram was already scheduled for two weeks later, but it weighed on her mind so she called her doctor and had the mammogram moved up. A biopsy was performed and the results were cancerous. She had her first surgery in January 2016, followed by a second surgery in March. After both surgeries, she choose to come back to Jonesborough for her recovery because of the community and family support she had here. A cousin came down from Telford during her surgery and provided the medical support needed. Her home church, Jonesborough Presbyterian Church, and the Jonesborough/Johnson City community provided home cook meals during her recovery. Jonesborough is known for being a caring community. It’s not just a smile or friendly word, it’s helping a neighbor in need, supporting each other in times of struggle. I know I had a faster healing- mentally and physically- due to the love and support I had here in Jonesborough. This is my story, and I want to close by encouraging everyone to do their self-breast exam and get their yearly mammogram. Support Komen of East Tennessee in their fight to end breast cancer. Storytelling is a wonderful way to share your story. Thank you for letting me share mine.